"Wim Hof - have you heard of The Iceman?" asks Neil McManus as he turns the table on the interviewers. Mostly puzzled looks are the response. It is a nearly 60-year-old Dutch fitness guru of whom the Ruairí Óg Cushendall hurler speaks. Hof advocates exposure to ice-cold conditions as part of his health regime. 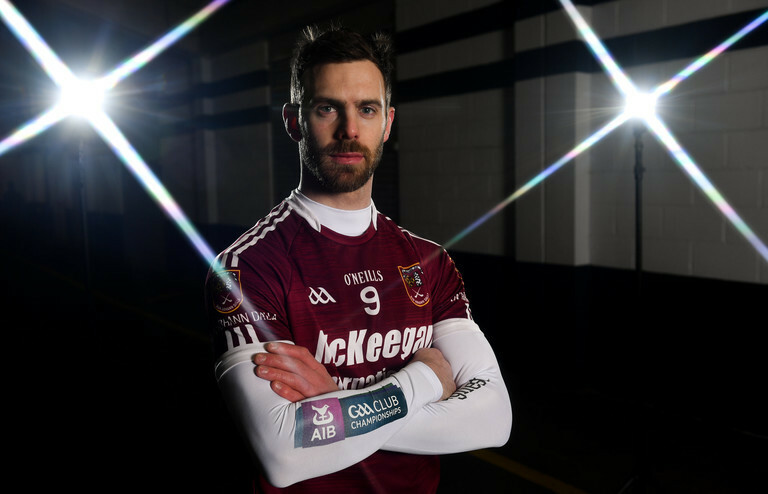 "It probably means nothing to you," McManus said ahead of this weekend's AIB All-Ireland Club Hurling Championship semi-finals which sees his side take on Galway champions St. Thomas. "Being in the sea and being outside, things like that, I enjoy all that type of thing. "In Cushendall, we're right on the coast there. After games or training, we'll get into the sea. Long before I was playing for Cushendall, that was routine when you were growing up. "I wouldn't be a sitting about type of person. I like to be out and about doing something. We're spoilt for activities up in the Glens: mountain biking, sailing, golf." An abundance of choice they may have in the area, but really, there's one love. While we talk about golf and sailing, they're hobbies - hurling is real life. "There's a massive hurling community in the Glens of Antrim," says McManus. "It's a great wee area and we're very passionate about our hurling. "We grew up to total legends of the game in my own club - James and Sambo McNaughton, Conor McCambridge - heroes, to us, that’s the long and the short of it. "I remember them coming off the field after county finals when I was ten years of age and patting them on the back and just wondering - why is that man so sweaty? "Those big cotton shirts that they had on, but those are the memories that you have and these lads are the role models that are in our club and they instilled that bit of passion in all of us. "I certainly want to pass that onto the guys who are 19 or 20. We’ve a real good group of leaders there around that age and they want it as much as I do and they’re very, very dedicated so hopefully that will transcend on down." All-Ireland semi-finals are nothing new to Cushendall. In 2016, Ruarí Óg marched to the All-Ireland final after an upset win over Galway side Sarsfields. McManus scored 1-7 that day. Preparation for Saturday's semi-final has involved the usual long trips for the challenge games needed for Ruairí Óg to reach the required pitch. "You have to travel. That's absolutely nothing new to me," says McManus. Everybody on our team is either currently playing for Antrim or has done in the past. One thing you will get used to as an Antrim hurler is travelling. We're well used to that. We've to travel to get to games and you need them. We've done plenty of travel. You need challenge games of a certain standard to prepare. There's an awful of work in the three-and-a-half months towards an hour [of hurling]. Hard work there has been but it has also been enjoyable. There's a real buzz about the village. "I was joking saying that there was no winter but you nearly do feel like that. All the kids are dandering about the street with hurleys in their hands. There's anticipation about the village and everybody is just looking forward to the weekend, hugely. Everything will revolve around that. "Cushendall is a different place. Cushendall is a very picturesque, small, scenic village. We rely on tourism. The months of December, January and February can be quiet, cold, snowy. There's snow on the ground but there's a warm feeling about the place!"